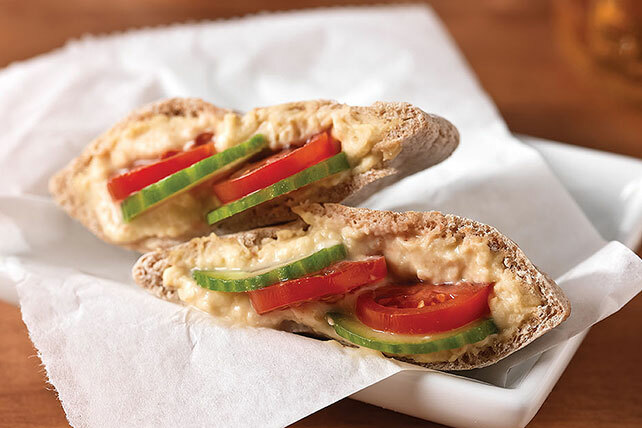 Yummy hummus doesn't need a whole lot to make it a nice pita sandwich filler—perhaps just the crunch of sliced cucumbers and some tomatoes for color. Prepare using your favorite flavor of ATHENOS Hummus. Substitute 4 thin apple slices for the tomatoes.